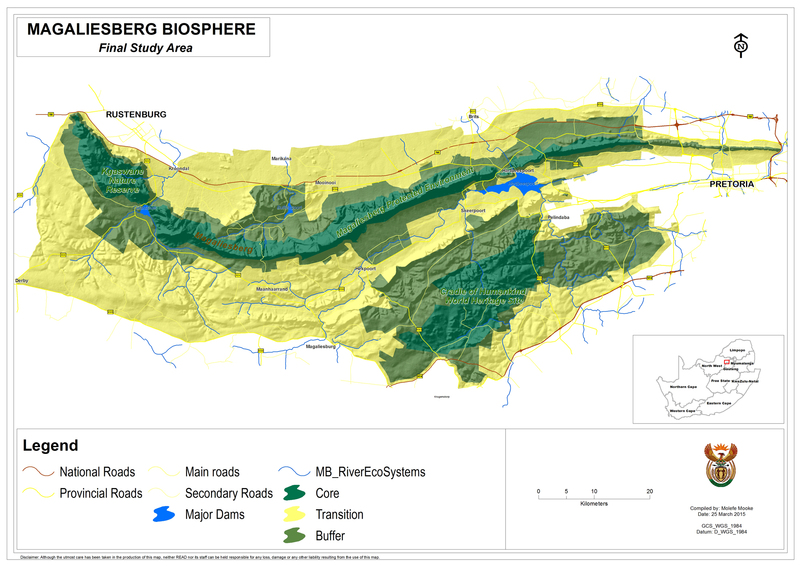 We were fortunate to lead the comprehensive team of professionals in preparing the Application to UNESCO as well as the Management Plan for the Magaliesberg Biosphere Reserve. After a very long process we can now finally celebrate the Magaliesberg’s recognition as a place of international importance, as announced by UNESCO on 9 June 2015. Thus also leaving a lasting legacy for future generations. To everyone who assisted us in this long journey, many thanks. 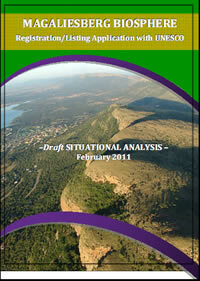 Listing Application for SA Government (MaB country representative) through North West Province. We started assessing the current situation in 2010 and will be facilitating the public participation process, develop a management plan, and plan to submit the listing application to UNESCO via South Africa’s Man and Biosphere country representative during 2013. Our role was that of Lead consultant and conservation management specialists. The activities performed included; Project managing a team of professionals in assessing status quo, identifying key issues, facilitating public participation developing management plan with zonation and development guidelines each zone and obtaining endorsement for biosphere from key stakeholders before preparing and submitting listing application.